Christmas parties are one of the best parts of the holiday season. It’s always a fun time to getting people together in good spirits – with good spirits. 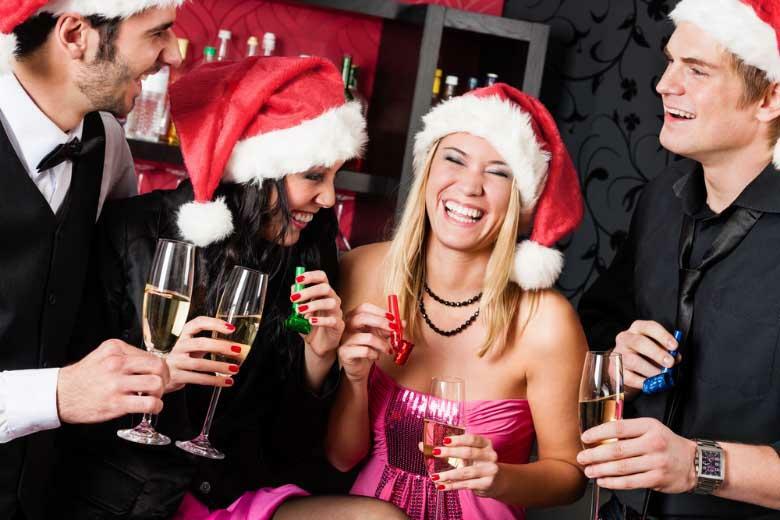 Bullfrog Wine & Spirits can help you plan for any size Christmas party – for whatever reason. Even if your party is just for family and/or friends, come in to Bullfrog and we can make recommendations that will make all of your guests happy. We also provide full beverage catering for corporate holiday parties as well. Nothing defines the holiday season quite like seasonal beverages. Hot cocoa is an all-time favorite, and having the right spirits to go along with cocoa and all of the seasonal beverages is key. Irish cream liqueurs and whiskey go well with pretty much any drink and will make your party cozy and fun. One of the best things about holiday parties is being able to get friends and/or co-workers together to have a good time. Games are a great way to bring people together at a holiday party. A gift exchange game is always a hit – so make sure you have something planned so that all of your guests (young and old) can have a good time. Plan for enough food and drinks! The worst thing you can do is run out of food or drinks for your party. It’s always better to plan for more than less. Plan for each guest to have three drinks, then add about 10% to that number. This general rule should ensure that you have enough for everyone, and probably a little left over.